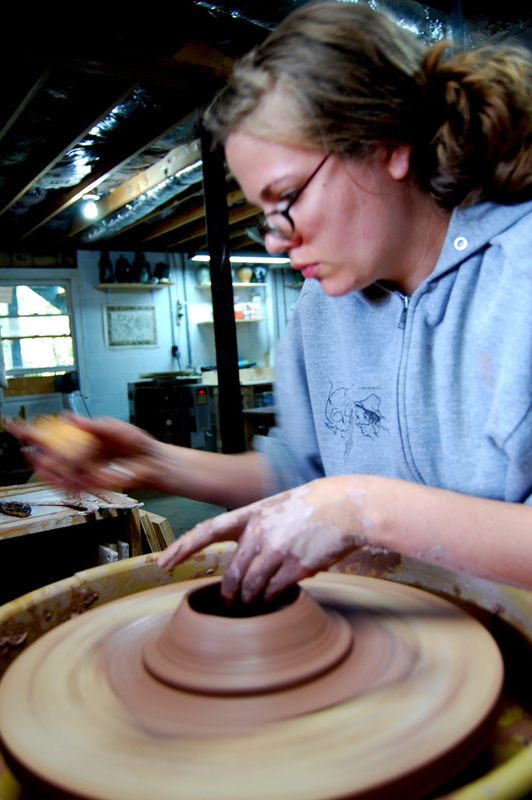 Every piece of pottery we create has been handmade from scratch. 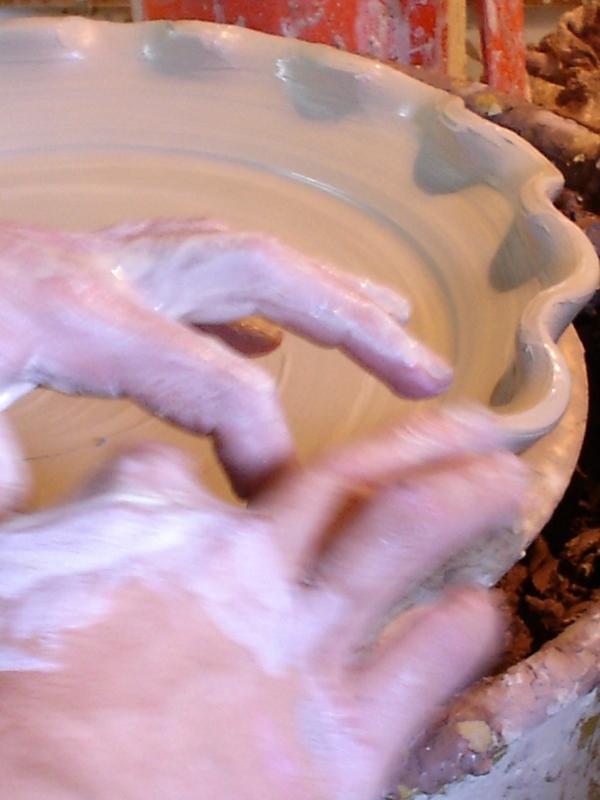 Starting out as a lump of clay that we hand throw on the potters wheel or hand build into existence. We enjoy making both functional and decorative pieces, incorporating a number of materials and techniques. 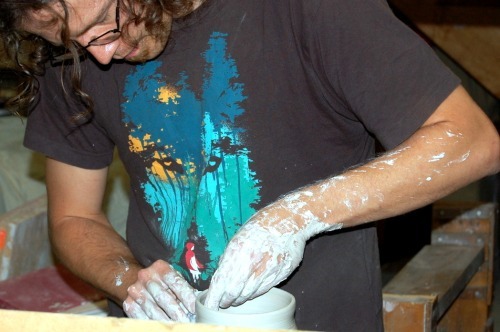 As potters our goal is to create something that would be greater than anything that we could do individually. To collaborate with each other in some way with each and every piece. Even if that was just getting the others input on design, form or function. Learning each others strengths and weaknesses and adapting our approach accordingly. Our functional dinnerware is handmade from a durable stoneware clay, which makes it suitable for daily use. 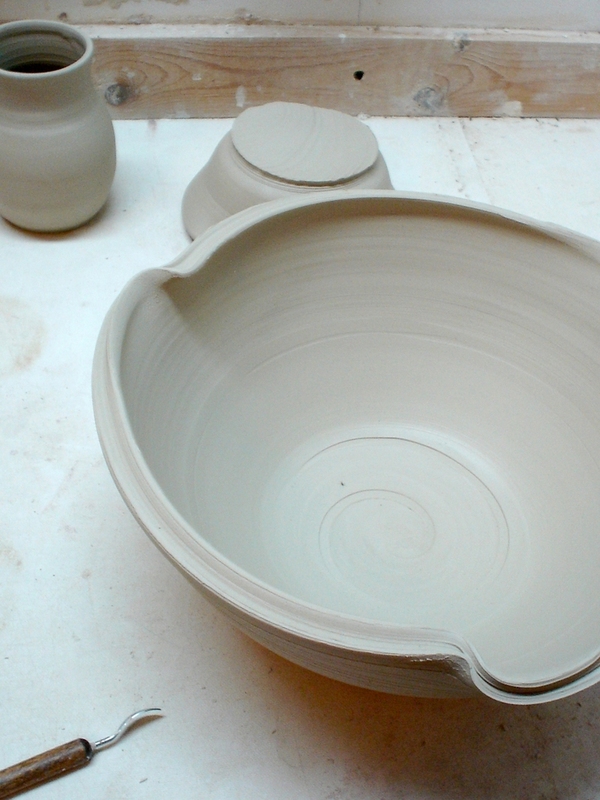 After slow drying for sometimes weeks our pottery is loaded into our kiln. 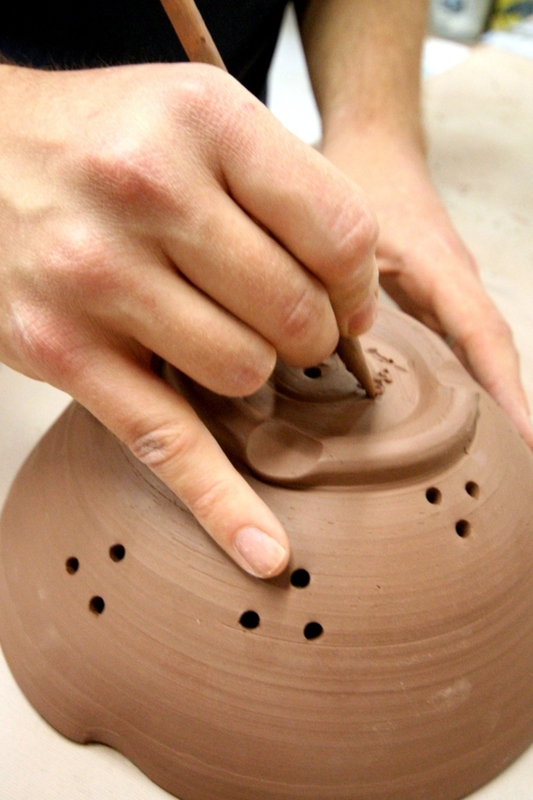 The first "Bisque" firing burns the impurities from the clay and makes it easier to handle for glazing. 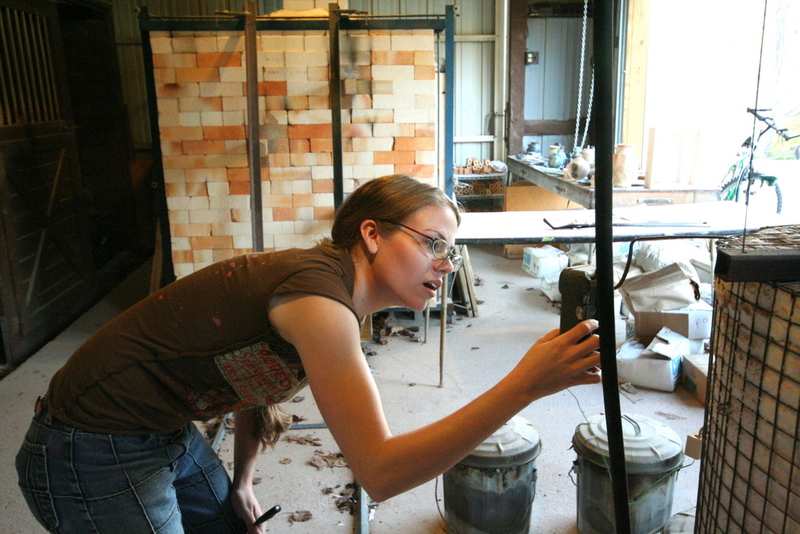 We hand mix our glazes from a variety of feldsparic rock, silica and other raw materials that are carefully weighed and measured out. 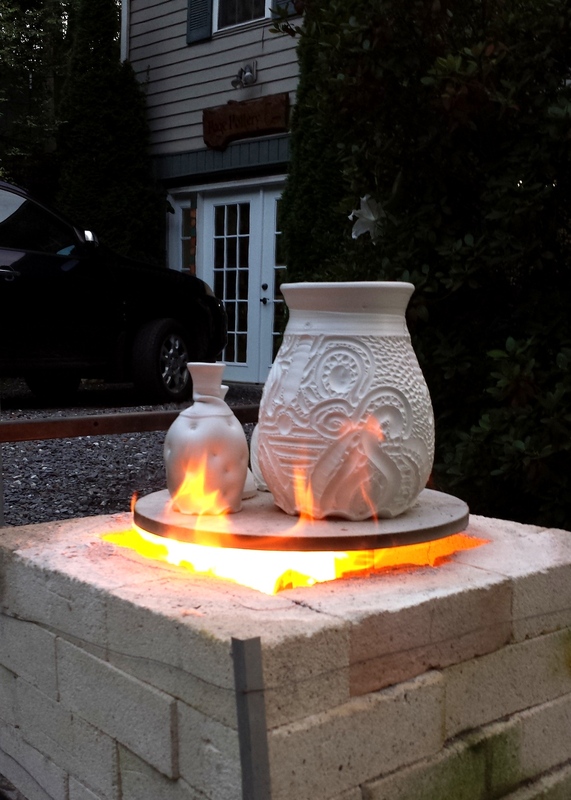 We high fire our stoneware pottery to over over 2232 degrees in an Oxidization environment. We then carefully slow cool the kiln for two days. 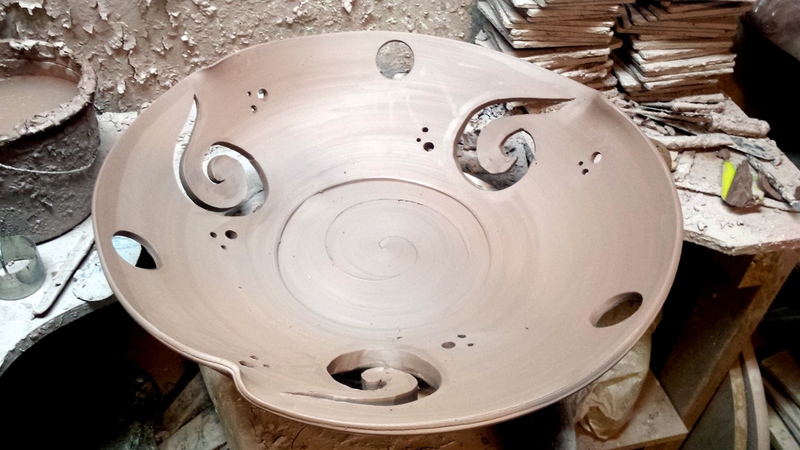 This controlled slow cooling allows the glazes to fit better in some and to become more dynamic in others. 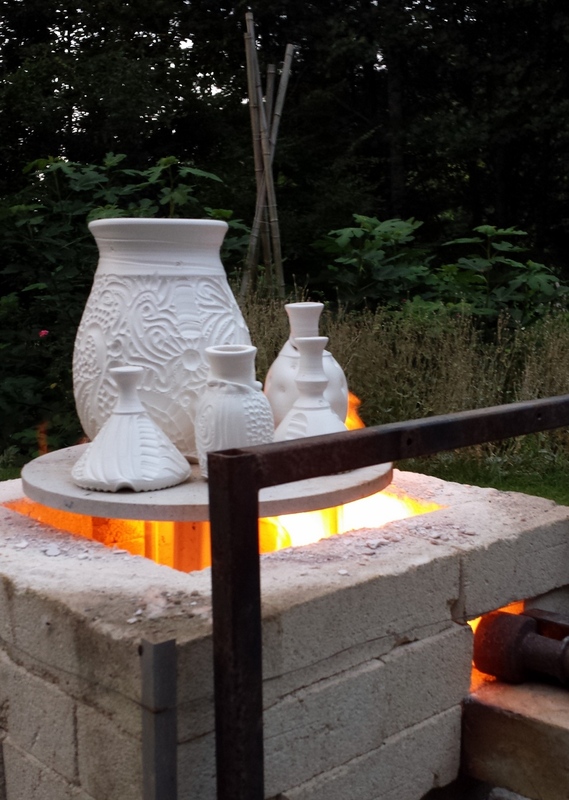 Our Raku pottery is quite a bit different from our stoneware. Not intended to be for functional use but stunning decorative pots that are as intriguing to create as they are to behold. 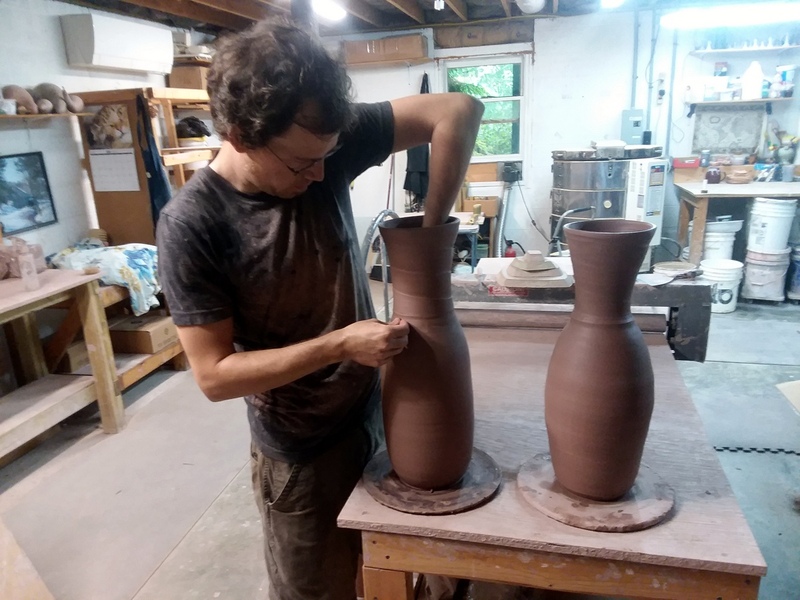 Combining modern techniques with an ancient Japanese way to fire, our Raku pottery is ever changing and exciting to create. 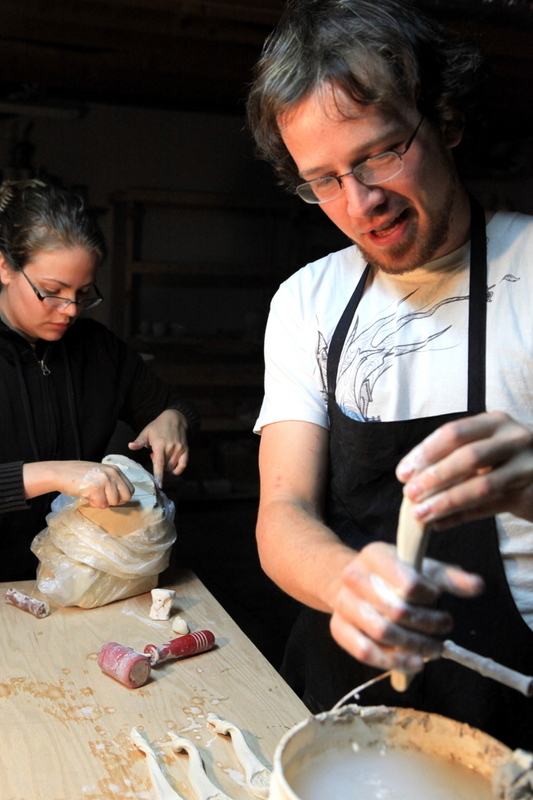 There is no glaze on our Raku pottery, only a fine slip that has been burnished soft and smooth. This fine slip is known as Terra Sigillata which is Latin for “sealed earth. The ancient Greeks and Romans along with Native Americas used this in lieu of glaze. 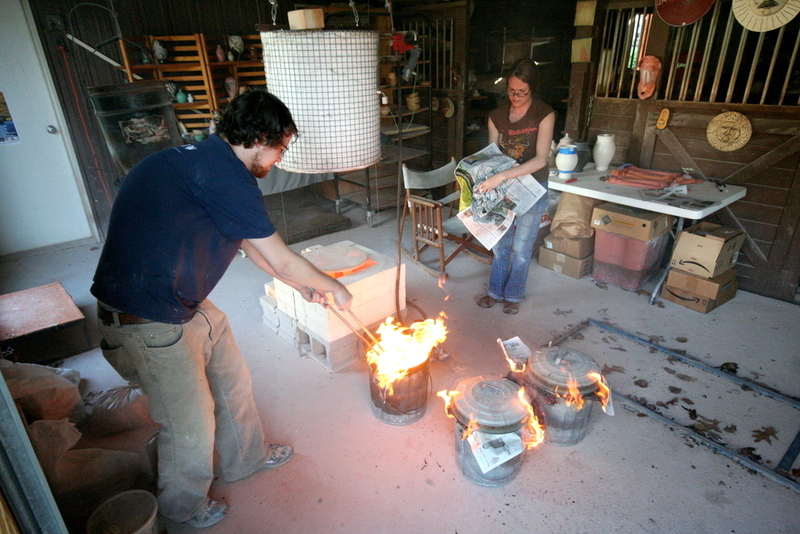 We then fire the Raku pottery to 1600 degrees and then take them out of the kiln while red hot and manipulated to create different and interesting affects.